It's time to finally get rid of that embarrassing email address you made a decade ago. 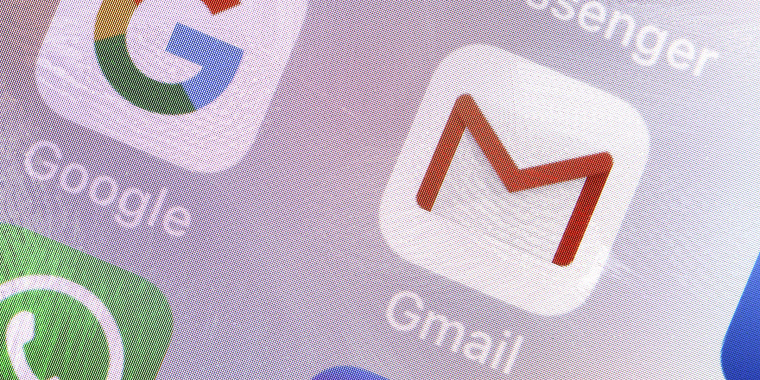 Is it time to delete your Gmail account? If you prefer a different email service or want to finally get rid of that embarrassing username you created years ago, it's easy to move on from your account. Deleting a Gmail account is permanent. After going through the process, all of your emails and account settings will be erased. You will no longer be able to use your Gmail address to send or receive emails, and the address will not be made available for anyone else to use in the future. However, deleting a Gmail account does not delete the entire Google Account the email address is associated with. You will still have access to all other Google Account services, such as Google Drive, your calendar, Google Play and more. Gmail will ask that you provide an alternate email address to use to sign into the Google Account in the future. 2. Click the grid icon in the upper right-hand corner and select "Account." 3. Under the "Account preferences" section click "Delete your account or services." 6. OPTIONAL: Click "Download Data" to save any important information from being permanently erased. 7. Click the trash can icon next to "Gmail." 8. Enter an alternate email address (cannot be another Gmail address). Make sure to use an email address you have access to; you will need it to continue deleting your account. 9. Click "Send Verification Email." 10. Open the email from Google you should have received with your alternate email. 11. Follow the deletion link in the message. 12. If prompted, log into the Gmail account you want to delete. 13. Select "Yes, I want to delete (example)@gmail.com." 14. Click "Delete Gmail." Then, click "Done." According to Google Account Help, "If you use Gmail through your work, school, or other group, contact your administrator." The administrator of the account is the only one who can delete the Gmail account. Google doesn't specify how long it waits to actually erase your information after you make your request. If you change your mind, there's a chance you can recover your Gmail address and emails. If you want to delete your whole Google Account instead of just your email address, there's another set of steps you have to go through. 2. Click "Delete Google Account and data." 4. OPTIONAL: Click "download your data" to save any important information from being permanently erased. 5. Check both boxes and click "Delete Account." Deleting an entire Google Account means that the content in your Google Drive, Google Calendar and Google Photos accounts will be lost and you will no longer have access to subscriptions purchased on YouTube or Google Play with that account (such as apps, movies, games, music and TV shows). If there is a Google Chrome browser synced with the deleted Google Account, the browser's information, including bookmarks, will be deleted as well.